Look and feel your best with healthy, beautiful skin. Dr. Safai Received his medical degree from Tehran University School of Medicine, Tehran, Iran. He was trained in internal medicine and dermatology at NYU Medical School, and completed a fellowship in immunology at Memorial Sloan Kettering Cancer Center (MSKCC). Dr. Safai's work in immunology earned him a degree of Doctor of Medical Sciences (D.Sc.) from the University of Gutenberg, Sweden. He continued his career at MSKCC where he established a dermatology program to include research, education and patient care. During his tenure, he developed programs for the management of various skin cancers, lymphoma of the skin and Kaposi's Sarcoma. View Full Curriculum Vitae. He instituted a skin cancer-screening initiative for the employees of MSKCC, which was adopted for the city of New York, and earned him a citation from the mayor of the city of New York. These initial steps helped him to consolidate the development of a comprehensive dermatology service at MSKCC, where he was then able to expand his program to include specific research and clinical projects for various skin cancers, lymphoma of the skin and Kaposi's Sarcoma. His laboratory investigation in Mycosis Fungoides led him to demonstrate for the first time, production factors known today as cytokines, by epidermal keratinocytes. His early work on Kaposi's Sarcoma, published in 1980, indicated a viral etiology for the disease, and its association with an immunological imbalance of the patient. A year later, in 1981, this was further confirmed by the appearance of Kaposi's Sarcoma in 1994. Among his other scientific contributions is participation in the initial identification of the AIDS virus; HIV, use of interferon in the treatment of AIDS-Kaposi's Sarcoma, and initial publication of the serological testing for the AIDS virus. Dr. Safai is also credited for organizing the first international AIDS conference in Cold Spring Harbor, New York. Dr. Safai served as the Chief of Dermatology Service and Driector of its research program at MSKCC for over 19 years. 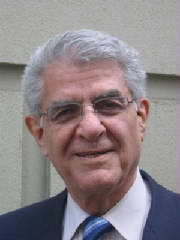 He was promoted to the position of Professor at Cornell Medical College in 1984, and member of MSKCC in 1985. In 1993, Dr. Safai accepted the position of Professor and Chairman of the Dermatology Department at New York Medical College where he has been involved with the education and training of dermatology residents and medical students ever since. Dr. Safai designed a well-defined curriculum, and focused on standardizing the training program to meet the requirements for the Residency Review Committee. He further expanded the program to include new management and therapeutic modalities for patient care and dermatology training. Dr. Safai is a practicing Dermatologist and his research is currently devoted to skin malignancies and stem cells of the skin. Dr. Safai has published over 200 articles, reviews and book chapters. His book "Immunodermatology", published in 1981, defined the discipline and focused more attention on the relation between dermatology and immunology. Dr. Safai has served on the NIH/NCI study sections, a variety of task forces and intramural review groups of NIH/NCI. He has served on the editorial boards of several journals. Dr. Safai has held the position of president of the New York Dermatology Society and was the Chairman of the New York Academy of Medicine, Dermatology section. He has received multiple national and international awards for excellence in his work. He established and served as president of the Fisher Medical Foundation. Dr. Safai has been included in New York Magazine's, "Best Doctors" issue, and has been selected by Castle Connolly as one of the New York Metro Area's Top Doctors. as always, consult your physician about your specific condition.